This event is sold out for this year and may run again starting 2021. 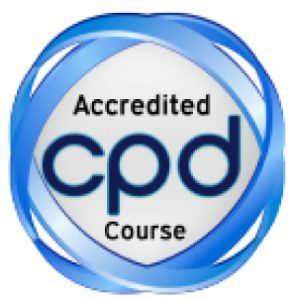 Get in touch now to register your interest for the 2021/22 Certification and be the first to hear course dates. Certified Generative Coaching with Robert Dilts and Stephen Gilligan – November 2018 to May 2019. NLP School and PPD Learning are proud to present for only the second time in the UK this accredited full-length program in this radical coaching method, created by two of the most dynamic figures in contemporary Coaching and NLP, Robert Dilts and Stephen Gilligan.This 15-day course, spread out over four modules to ensure optimum learning, will be taught and certified by Robert and Stephen themselves. 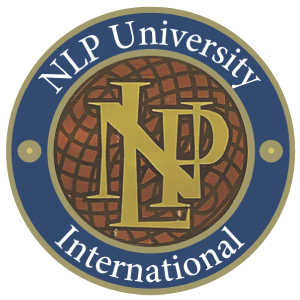 If you are a coach or related professional seeking to turbocharge your skills, or NLP qualified eager to place yourself at the cutting edge of the discipline, this is the course for you. We do offer interest free instalment options to suit you, simply get in touch to discuss. “Generative” means to create a result that has never existed before in the world. It is the power of the entrepreneur, the artist, the philosopher, the inspirational leader. Generative coaching works with clients to discover and harness this power within themselves, to enable them to transcend old problems rather than just ‘sort’ them, and to move on to new, previously unimagined levels of creativity, in both their personal and professional lives. Generative coaching is especially interested in a client’s deepest passions and highest values, goals and callings. It welcomes crises and threats to identity, treating these as golden opportunities for change. This radical new method is the culmination of many years’ work by the two most influential figures in modern NLP. Robert Dilts is the creator of development tools such as the Hero’s Journey, the Disney Model and the Logical Levels, now used in both private coaching and corporate programs around the world. Dr Stephen Gilligan was mentored by both Milton Erickson and Gregory Bateson, and is generally regarded as the person who has done the most to develop Erickson’s ideas and practices in ways that are both creative but true to the original spirit. This course will be an inspirational chance to work closely with these two thought leaders. The Generative Coaching Certificate Program consists of four Modules of intensive study, 15 days in total, spread over eight months. This training is accredited with the ICF and will give a total of 91.25 CCE units (53 core competencies, 38.35 resource development). The course will take place in Regents College, which is set in London’s beautiful (and central) Regent’s Park. The college is a few minutes walk from Baker Street or Regent’s Park underground or Marylebone main-line station. Interest free instalment plans are available, simply get in touch to arrange a plan that suits you. This is a very special opportunity. These two major figures in contemporary personal development rarely share a stage, but here they do. Many previous delegates have commented on the amazing synergy created between these two inspirational teachers. Not only that, but you will get an unparalleled chance to work with both of them. This is a substantial course, which teaches you the whole range of new techniques that make up Generative Coaching. At the end of the programme you will be a certified Practitioner in Generative Coaching. These techniques are the culmination of these two individuals work over many decades at the forefront of Coaching, Therapy and NLP. Over the past century, many different methods for helping people to change have been developed. Relevant to coaching, we can distinguish three generations of such approaches. The first is traditional psychotherapy, initially developed by Freud and others. Here the focus is primarily on problems (often thought of as “mental disease”) and the past (in terms of negative events that “caused” present problems). For many, this approach was not attractive because it (a) took too long, (b) was very expensive, (c) pathologised and stigmatised people, and (d) often produced little or no real-world changes. In response, a second generation of change approaches emphasised a person’s resources and positive goals, action over analysis, and solution-focused future orientation. Concomitantly, the related field of the human potential movement arose in the 1960s and 70s. It rejected authoritarian and pathologising approaches in favour of positive changes through increased awareness, self-actualisation, and altered states of consciousness. These new methods shared a client-based, positive-oriented view that stood in stark contrast to the first generation. These second-generation approaches constellated in the 1990s with the emergence of what might now be called traditional coaching. Coaching was not for “sick” or “damaged” patients, but for healthy people seeking to improve their professional and personal lives. Freed of the “crazy” stigma and strict hierarchies, coaching was attractive to many people, and has found applications in a number of areas, such as life development, business, health, and sports. However, in positioning itself as a counter-point to traditional therapy, coaching declared areas like emotional work and internal consciousness to be taboo or irrelevant. We believe that such restrictions are unhelpful and unnecessary, and that the best coaching involves equal attention to the “outer game” of a person’s goals, lived experiences, and practical choices; as well as what Tim Gallwey (2000) calls the “inner game” of a person’s state of consciousness. Such an approach assumes that all reality and identity are constructed, and that a person’s or group’s state–e.g., their beliefs, intentions, perceptions, somatic patterning, and cognitive meanings–is the base for such constructions (Gilligan, 2012). This orientation to integrating various dualities in a “both/and” approach–internal/external, problems/resources, past/future, cognitive/somatic, etc.–constitutes what we call third-generation approaches. To understand the differences between these three generations of change work, a brief example might be helpful. John is a 40 year old man living with his mother, struggling as a telemarketer. If he came to traditional psychotherapy, he would likely be diagnosed in terms of some mental disorder that he is trapped in–e.g., depression, anxiety, character disorder–and the work would focus on either medicating him, removing the symptoms by understanding their historical causes (e.g., negative childhood experiences).or challenging his negative or non-reality based thinking. Traditional coaching would give more primary attention to his positive, future-oriented goals (e.g., starting a business) and seek to identify the resources (mentors, associates, positive associations) and actions needed to practically achieve it. Dilts, R. From Coach to Awakener. Capitola, CA: Meta Publications, 2003. Dilts, R./Delozier, J./Bacon Dilts, D. NLP II: The Next Generation. Capitola, CA: Meta Publications, 2010. Galway, T. The Inner Game of Work: Focus, Learning, Pleasure and Mobility in the Workplace. New York: Random House Trade Paperbacks, 2000. Gilligan, S. The courage to love: Principles and practices of self-relations psychotherapy. New York: Norton, 1997. Gilligan, S. Generative Trance: The experience of creative flow. Cardiff, Wales: Crown House Books, 2012.
and behaviour. New York: Cambridge Press, 1984. Gilligan, S./Dilts, R. The Hero’s Journey: A Voyage of Self- Discovery. Wales: Crown House Publishing, 2009. Kussai El-Chichakli, Marketing Director at Coca- Cola GmbH. Sheena Bailey, Sheena Bailey Partnerships Ltd.
“I was lucky to be a part of the UK Generative Coaching intake last year (2015-16). 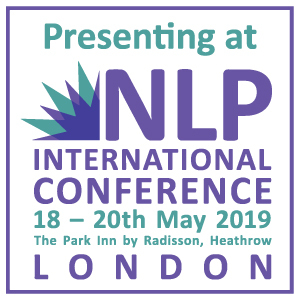 As an NLP practitioner using what I have learnt mostly in business, I wasn’t sure whether I needed to do the course, but the opportunity to work with Robert and Steven was too much to pass up. Alex Strang, Advertising Agency Director. “Generative Coaching has beyond doubt been one of the most impactful programmes I have followed in recent years. The combined professional and life experiences of Robert Dilts and Stephen Gilligan, their vast, multi-disciplinary knowledge, not to mention their incredible chemistry and humor on stage make this a mind-blowing experience. The insights and tools I received through the Generative Coaching programme have since lifted my coaching practice to a whole different level. The basic process is simple, practical and applicable in a wide variety of settings. The extra tools they provide for each step in this simple process give you the flexibility and nuance you need to deal with a wide range of coaching challenges, contexts and clients. Ann-Sophie Cremers, Director, In Motion Consulting.